As I have previously stated, the Turkish people are very proud of their founder Mustafa Kemal Ataturk (click), their country and their freedom. At the moment there are protests over the perceived potential loss of the secular society, where although a predominately Muslim country, all religions are respected and allowed, and religion is kept out of politics. State and religion are kept separate. Foreign Minister Abdullah Gul, the architect of Turkey’s EU membership, said he would stand as the ruling AK Party’s candidate for head of state. Many Turkish people are worried by his Islamist past and the fact his wife wears the Muslim headscarf, banned by Mustafa Kemal Ataturk in universities and public offices. They fear she will wear it as a first lady. They are worried that perhaps thier country may become like other Middle Eastern countries. It is said that perhaps 1.2 million people took to the streets of Istanbul in protest, flying their country’s flag in a mass of red. Thank you all for your advice for Colin. (click). I did work with Colin with one of the most powerful exercises in NLP. It is the first technique I use with all my 1-2-1 clients, those with phobias, fears, needing strength, confidence, self power. It is an anchor, a state, you can install in yourself, to call upon whenever you need. We have all had times when we had confidence, times when we had that internal power or strength, where nothing would trouble us, when our shoulders would be held back, we felt tall. Now, perhaps as you read this, you too can find a time when you had the power to do anything you wanted. As I worked with Colin, thoughts of times when I was powerful, standing in front of over five hundred Chinese Human Resource (HR) leaders in Hangzhou just south of Shanghai, presenting NLP, or talking to nearly 1,000 students in a university in Istanbul who were preparing for their examinations. The same power now came back to my body and mind. I asked Colin to take his right index finger, and place it in his “belly button“, through his clothes. The “belly button”, also called the navel , or umbilicus scar. Then I asked him to point with three fingers on the other hand, joining the three fingers together, then place those three fingers immediately below the finger which is placed in the “belly button”, pull the “belly button” finger out, and place that below the three fingers. “Can you feel where the finger is pointing to?” to which Colin replied “Yes”. This point is referred to as Hara, Tandien, the Key or Chee. It is one of the seven Chakra’s (Swadhisthana). It is a point that the martial artists, the Kung Fu fighters, place their attention to, (think about), to gain strength. Hara, Tandien, the Key, Chee or Swadhisthana, are difficult names to remember, so in the UK I call this point Fred, in Italy it is called Antonio, in the Middle East and Turkey I call it Mustapha. You can call this point whatever you want. I then asked Colin to stand with his feet slightly apart, and I touched his forehead, asking him to place his attention at this point, as I gently moved him around side to side. I asked him to notice how he felt, notice his thoughts, feelings, as he felt very unstable. After I had anchored, or showed him how it felt to be weak, I asked him to move his attention down to Fred, Antonio, Mustapha, and with the attention here, just below the “belly button”, I again moved him from side to side, and asked him to notice the difference to be now strong like a rock, like a statue, an oak tree. It is difficult to move people around with their attention here. I did this procedure three times, the magic three, so that the brain will learn that whenever you place your attention at Fred, Antonio, or Mustapha, you will get the power the confidence you want, helping you do what you desire. As with all the work I do, teaching, coaching, working 1-2-1 with clients, I always test the work. I touched the forehead of Colin and moved him side to side, so that he became weak, and asked him to think about something that may have upset him in the past, perhaps a person, a place or a thing. I asked him to notice what it was like, thoughts, feelings. Once this was calibrated, I asked him to move his attention down to Fred, Antonio, or Mustapha, and to notice now the difference taking a deep breath in. Notice the thoughts the feelings. “They are insignificant, small, they don’t matter, I feel powerful.” These are some of the comments given to me. When people say or believe they have too much to do, they are given too much information. Notice what they say, their actions. They will say such things as, “it is going over my head”, “my head is going to burst”, they will often hold their head in their hands. When people cannot cope, when they are out of their depth, getting too much information, their attention is in their head. When you are strong, your attention is at Fred, Antonio, or Mustapha. Practice Fred, Antonio, or Mustapha every day in the shower, make it strong, allow your brain to learn this implicitly, so that whenever you need strength or confidence, come back to this place, place your attention here. Today I met an old friend who poured his heart out to me. I did not feel it was my place to advise or offer my thoughts on the subject as we are quite close. Colin is a kind man, and is always there to help others, often putting others before himself. This often leads to him being used, because people know he will be there for them. He had been asked to help a colleague with some task at work, and although Colin had his own work to do, and he had promised friends outside the workplace and after working hours to meet for a social gathering, he saw how important it was for his work colleague to get the task completed on time. So he agreed, delaying and even canceling his own jobs. When he went to help his colleague at his desk, he found that there had been nothing prepared, no paperwork, the office was in a mess, nothing was ready. He looked at his colleague’s fellow workers, and they were laughing and joking about something that had happened that day, and his colleague was taking part in the laughter. When Colin prompted his colleague that is was getting late and they should start the task, the colleague told him to relax, join in the fun, the task did not really need to be done now, it could wait. Colin said he saw red, he could feel his state change to one of anger, fury. But he held his state, (Mustapha, Fred, Antonio), knowing that he had not been able to do his own work, with the implication that perhaps his employers would blame him for being late and would probably not give him promotion or a salary increase. He saw his own friends in his mind’s eye getting ready to go out to enjoy themselves, and he was stuck where he was. Colin told me that this was not the first time this situation had happened to him. I know what I felt deep inside my own feelings, but was I right to put my thoughts on to Colin. Tell me what you would have told Colin please. Well what I thought was a Bank Holiday in Italy last Monday was not a holiday. It was Wednesday. Apparently the Italian Liberation Day falls on the same date every year, and that becomes the bank holiday or day off. If it is a Sunday, they have no holiday. In Turkey they say it Children’s Day or “National Sovereignty and Children’s Day” in Turkish, 23 Nisan Ulusal Egemenlik ve Çocuk Bayramı, it commemorates the opening of Turkish National Assembly in 1920 during the Turkish War of Independence. The name of Children’s Day came in 1929 recommended by the Institution of Children’s Protection. Whatever, I was working in Milan on the PhotoReading course. A really great course, which I will write about later. Better still, Elena Martelli, my translator, took me for the pizza and Jack Frost ice cream. As I sit here, and a sunny Sunday morning, in a period of time that has been the hottest for a very longtime in the UK, I am listening to the radio, as runners of the London Marathon wait with anticipation the start that will see them put to use all that they have been preparing for, perhaps months, and I think about the marathon I will be embarking on tomorrow morning. I will be up at 5am to catch one of the first flights out of London’s Heathrow airport to go to Milan, Italy, to give a PhotoReading course. On arrival I will go straight to the Hilton Hotel and prepare the room with the helpers and Elena my translator, for the start at 1:30pm. My Turkish colleagues want me out in Istanbul as soon as I finish in Italy. Do I fly direct or come back to London? What do they want me for? How long do they want me for? We start Monday and not Saturday? Its a holiday in Italy on Monday, but not in the UK. Monday in Italy is Liberation Day, it is celebrated on April 25th, and commemorates the liberation of Italy in the Second World War, and especially the lives of those who served as partisans in the Italian Resistance are especially honored. We all live in our own little world, perhaps not knowing what is happening to our next door neighbour or to the person next to us. In the UK at Christmas, the whole world stops for two days, Christmas Day (25th December) and Boxing Day (26th), yet in other parts of the world, life goes on as normal, the two days have no significance at all, the work as normal. As I travel such a lot, I have to prepare to step outside my normal understanding of British thinking, our celebrations, and consider other cultures and beliefs. Open your eyes and ears to other understandings, use Phillip’s sausage. As the runners of the London Marathon have prepared for many months or the run, so have I, my course materials, my passport, my tickets are all ready, my mind is ready to accept, make changes to my plans, and do a great job. I am by nature an inquisitive person. I need to know how things are done, what makes things work. I like to experience new adventures, well within reason, to do. I will try anything. As most people, I read a newspaper, wanting to get the latest news, and every morning I would buy The Times, The Telegraph, The Daily Mail, whichever newspaper caught my eye that morning. I was and am aware of the bias, the agenda, the political stance that the newspaper owners, editors, and reporters can put on any report in newsprint. Ten years ago, we gave up living on a boat, our Dicken’s Class 50′ ocean going vessel named Mr Toots, (click to see), and swapped her, with a friend Richard Morris, for our flat. Where are you now Richard? The first clue obviously is that the estate is in the village or district of the Royal Borough of Kingston upon Thames, (Click to view film), called Norbiton, south west of London, and within the M25 motorway. I decided to research in the library and museum. What was here before these flats? The first records I found for Norbiton was for 1174 when Henry II bestowed the Manor of North Barton to the Knights of Anjou. The word Barton I suspect being derived from the Saxon word “beartun”, meaning to store grain. 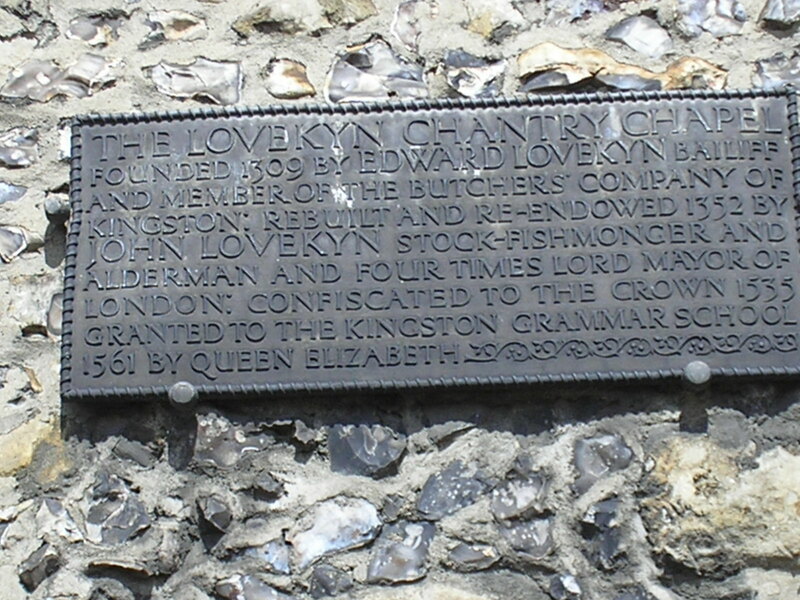 In 1309 Edward Lovekyn founded Lovekyn Chapel, still standing and in use opposite the end of Old London Road, and standing in the grounds of Tiffins Grammar School, at the start of London Road. It is said that most of the lands in the area belonged to Lovekyn at that time. There is mentioned that in 1532 a certain Mr Erasmus Ford who owned the land, complained bitterly to King Henry VIII, as some of King’s men had cut down 35 prime elms, it is presupposed to help built Hampton Court, which is not far away from Norbiton and Kingston, up the River Thames. The Evelyn family in 1588 used the property to store and make gunpowder. What building existed then could not be found, but there is reference of a building in 1631 as being newly built in brick and had 13 hearths. 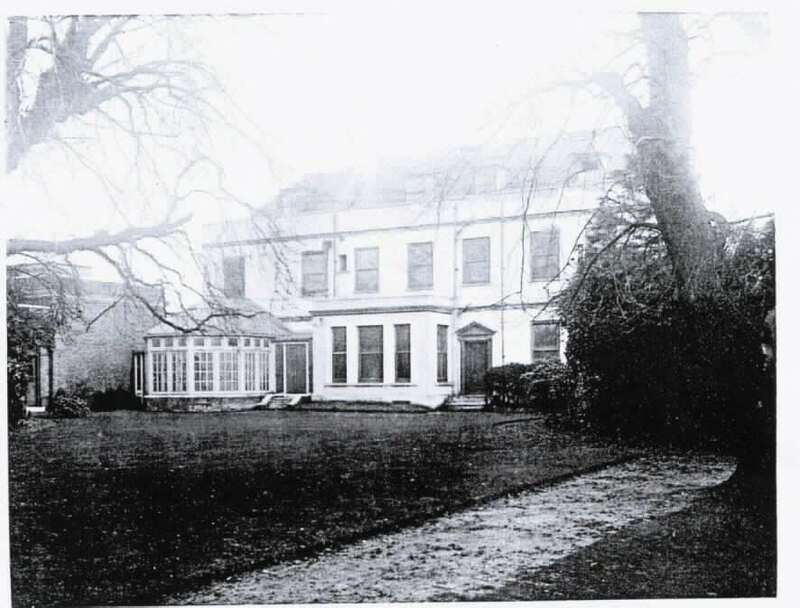 There is mention of the Jenkinson family owning Norbiton Hall in 1681 when major renovation and alteration was undertaken, saying that 43 persons could be comfortable sat for diner. 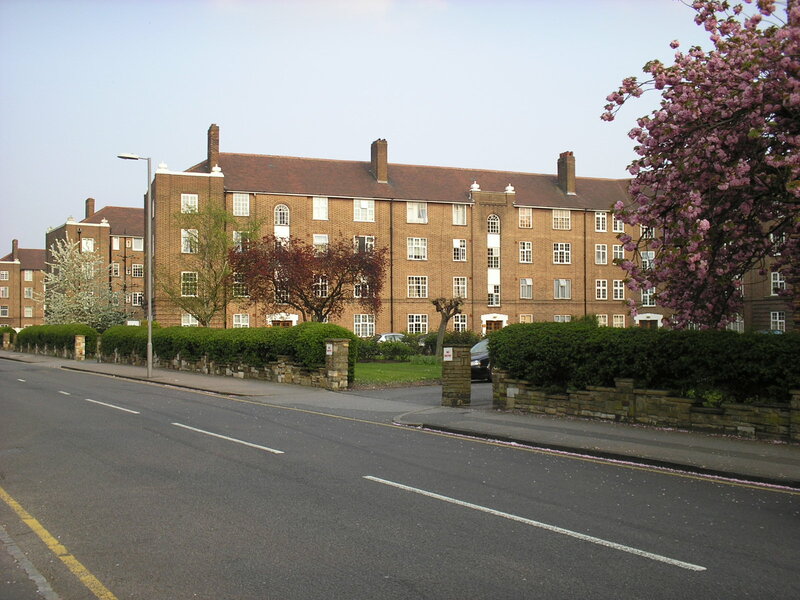 There were two large estates in the area, the one I researched Norbiton Hall, and the other which should not be confused with the Hall, which was Norbiton House or Place, the two estates divided by the London Road. Both areas prior to the 19th century being primarily agricultural land. 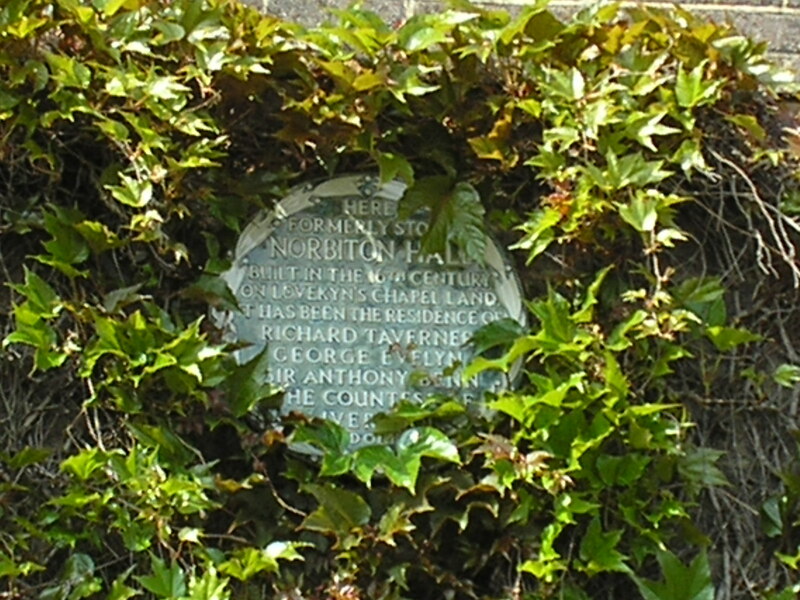 Norbiton Hall‘s grounds were to the north of London Road, the road was said prior to adoption by the local authority a difficult place to negotiate, as carts would become stuck for hours from the resultant mud and ruts after rain. 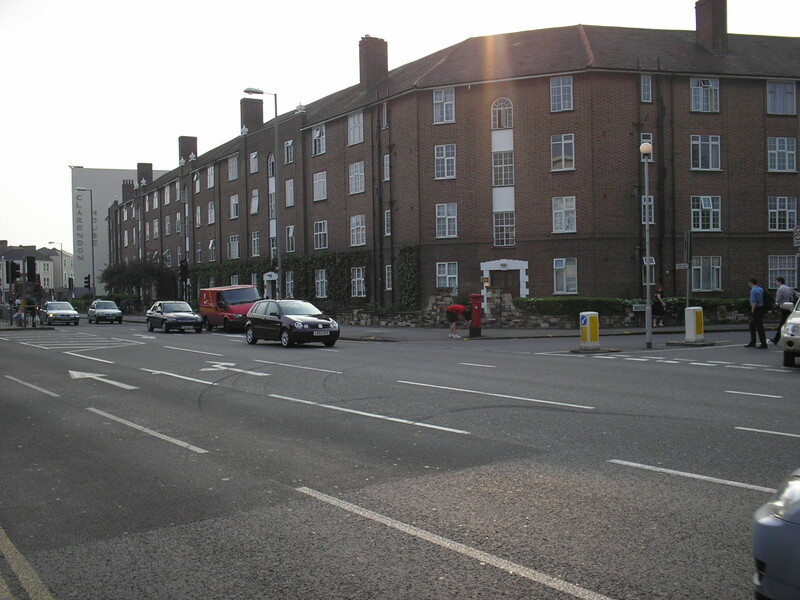 Norbiton House or Place was to the south of London Road, bordered by Cambridge Road and Coombe Road. The house and grounds were palatial, with the owner a rich merchant, a Mr Pallmer, trading in the West Indies, spending most of his money on the estate, eventually becoming bankrupt. He would open the grounds for the public to enjoy at weekends. 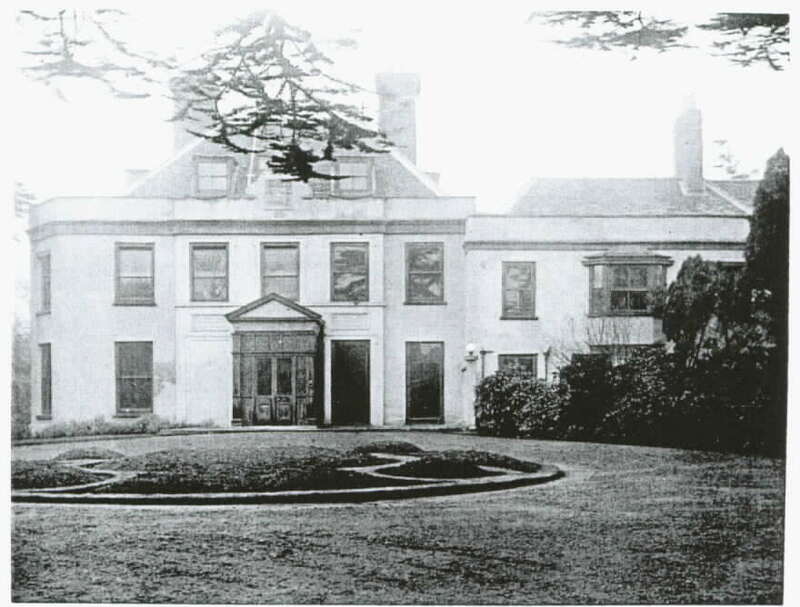 The house was of more grandeur than the buildings at Norbiton Hall, having 23 hearths. 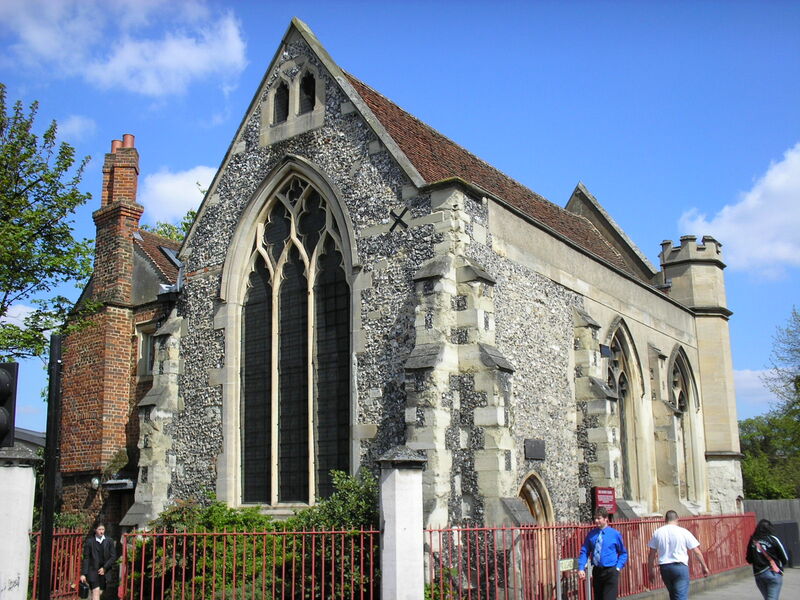 Opposite Norbiton Hall is St Peters Church, which was built in 1842 by Gilbert Scott in the Norman Style. It was at this time that big changes started to occur in the area. By 1838 the Enclosure Commissioners alloted land from Norbiton Hall for development, and with the introduction of the railway line to Kingston and Maldon, the Norbiton Hall estate was split into two and got smaller. By 1873 there was only 12 acres left, and in 1882-4 the then owner drove a road though the estate calling it Birkenhead Avenue, named after the families favourite town. Land was sold in small plots to build houses adjoining the new Avenue. In 1829 the estate was purchased by Mary, Countess of Liverpool, and her cousin Robert Jenkinson who was Lieutenant of Dover Castle, a well to do man, and was known as the squire. He died in the mid 1850s. The Countess died 1846. Lord Liverpool who died a year before the purchase was Prime Minister for 15 years, and was responsible for the erection of Kingston Bridge, the first stone being laid 1825 and opened 1828, replacing an earlier bridge which was documented crossing the Thames since 1219. Norbiton Hall was acquired from John Guy 1864 by William Hardman, for 8000 guineas, he was to become Mayor of Kingston, magistrate and recorder, and was knighted in 1885. As a justice he had rooms in the hall which he used to hear cases against local villains on a daily basis. In 1884 Norbiton Hall was advertised for sale with 4 servants bedrooms, 5 best bedrooms, dressing and bathroom, drawing dining morning and billiard room, library breakfast room. But the grounds were only 2 acres left and sold in lots. A Mr E J Cave lived in the house for an annual rent of £200, and in 1884 brought the house for £3500, but it went into a long decline. In 1933 a planning application was submitted for the land to be to become a dog racing track but was rejected by council, and subsequently by the government on appeal. 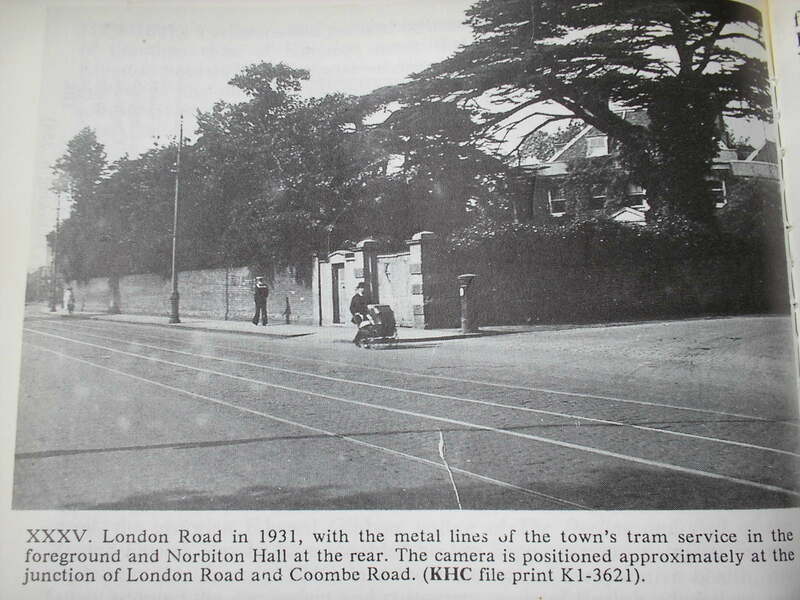 Soon after the hall was demolished to make way for the 192 to flats as we see them today. The back of Norbiton Hall, in Birkenhead Avenue. See a film of Kingston upon Thames taken on a sunny day in April 2007, click here. See Pictures of the London Road flooded in July 2007, click here. 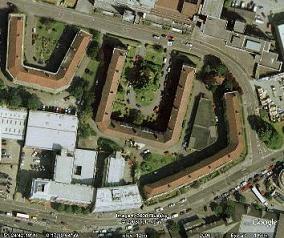 See aerial view of Norbiton Hall, click here. In the USA in the early 1970’s a young computer student was studying at the University of California in Santa Cruz, his name was Richard Bandler. He was studying mathematics, computing and later his interests turned to behavioral sciences. Richard Bandler found accommodation with the founder of Gestalt Therapy, Fritz Perls. Perls had lots of books and transcripts in his library on psychology, which Bandler read avidly. In the same district was a lady by the name of Virginia Satir, the family therapist that broke the conventional way of thinking and treating people. She saw clients not as people with individual problems, but as people coming from a family, a whole unit, and she treated the whole unit with great success. Bandler was asked to help Virginia Satir, to take her to venues etc, and he watched what she did, and noticed that she had certain ways of doing her work, her methods of treatment and talking to people. He also noticed that he could identify these and reproduce them to great effect. He realised that there was a problem, he did not quite understand the linguistics that she used. Bandler approached a lecturer at the university to help him understand the structure of the language. This linguist was John Grinder. Grinder was studying the works of the linguist Noam Chomsky. Both John Grinder and Richard Bandler agreed to work together, Bandler observing the strategies the methods people were using to interact with their world, and Grinder supervising Bandler and analyzing the language patterns. They began to draw around them a group of people who understood and wanted to participant what Bandler and Grinder were doing, as Richard ran and taught Gestalt Therapy classes at Kresge Collage within the University of California. As they observed behaviors and strategies, they learnt how to reproduce the same for themselves, and then teach others. This is one of the cornerstones in NLP, that the strategy should be identifiable, to be reproduced and to be taught to others. Some of these people who gathered around Bandler and Grinder were, Judith Delozier, Leslie Camerin, Robert Dilts, Eric Robbie. These people plus others would meet on a weekly basis with Bandler and Grinder leading, studying tapes of Perls and Satir, and mostly under the guidance of Bandler practiced and developed the Metal Model, Language Patterns, Deep and Surface Structures, The Map and Territory relationships, Reframing and more were developed. Bandler had another neighbour, Gregory Bateson, who knew what work Bandler was achieving, and suggested that they visited and studied Milton H. Erikson of Phoenix, Arizona. Milton Erikson is perhaps the best known hypnotist, hypnotherapist the world has ever known. His strategies for working with clients was mostly through stories, metaphors, which would send people into a trance very quickly, after which Milton would do his work. It was here that reframing progressed and more work was done on the representational systems developed, visual, auditory, kinesthetic, olfactory and gustatory, the whole story of how behavioural systems and accessing cues began coming together. Experiments were undertaken with hypnosis, hallucination and deep trance identification. These were especially important with deep trance identification with, Bateson, Satir, Perls and Erickson, they found that could understand these great people so much more. This was so great that they often felt as if they were the person. Other work was studied and developed from the work of Ivan Pavlov and his experiments with dogs in Russia. (see Svengali and The Manchurian Candidate blog, click). From this work came anchoring. Word of NLP started to spread and from about 1976, people who had worked with Bandler started to do their own workshops and books on the subject were being published, The Structure of Magic I, and II, et al. Although born around the therapeutic work of such people as Bateson, Satir, Perls and Erickson, NLP methodologies are equally applicable to the business world, politics, education, personal life, it has been employed by the military. NLP translates and crosses all boundaries. Much has been said about Bandler and Grinder, do you believe everything you read in the newspapers? They both went their separate ways at the end of the 1970’s. I have worked with both and love them both for their kindness, knowledge and what they have given the world. Welcome to the world of NLP. NLP Now – What is NLP? My journey along the pathway of learning and then becoming a Certified Trainer with the Society of NLP, has been regularly interrupted by the question, what is NLP? (Neuro-Linguistic Programming). NLP is an attitude to be able to find out what kinds of communication influences others, and to pursue this with the sense of curiosity desire and adventure, and to view life as an opportunity to learn. Or “the art and science of communication”. NLP is a methodology taking the presupposition that everything we do has a structure, and that this structure can be modeled, learned, taught to others, and changed, for ours and others needs as appropriate. NLP is a technology which has grown and is evolving, that allows users or Practitioners to orgnise information, procedures and perceptions, such that they can achieve the inconceivable. NLP is described as “the study of the structure of subjective experience”. People have placed different meanings, their own meanings, as to what NLP is all about. I often asked Richard Bandler what NLP was, and each time I had a different answer. It was then I decided that NLP was anything that worked for you to achieve excellence in yourself and in others, to make the appropriate changes for this to happen. It was later in his book Modeling With NLP by Robert Dilts, that I read he too concluded that NLP is anything that works. If you see someone who can achieve excellence, there is a presupposition that you can model, find out how they do it, and it is assumed that you too can achieve the same results. You are working in a sales company, (or talking to people, teaching, what ever you do, we sell ourselves), and you notice another person achieving better results. Find out how that person does it, their thoughts, their strategies, and apply them to your own strategies, and if appropriate, you may find them better than those you were running before. Use them, you now have choice, and perhaps you can teach others. Maybe you notice that there has been a time when you did something special. Would it not be great to be able to capture that time, that state, and to be able to reproduce it at will. You can with NLP. When we look at modeling someone, (how they do), unlike other models or methodologies, we do not look at the content, how many eggs they put in the chocolate cake, how long it is left in the oven, we look inside the person to ask how do they know, what tells them it is time, that it is cooked. Many years ago in California, a young student was riding home in his car. Back in those days, cigarettes seemed to take people places in their minds those of today do not, they were special and strong. This young man, a student, caught from the corner of his eye flashing lights, and thought to himself, that the tobacco was particularly strong that day. It was not long before he realised that the flashing lights were in fact a police car behind, flagging him to stop. He stopped, not wanting to share his cigarette with the policeman, he stayed in the car. The police man asked this student what was his job, and not wanting to say he was a student, he searched for an answer. On the car seat by the side of him were three books. One book was on psychology, another he had borrowed on the English language, and the third was on his major he was studying at university, computing. He taught hard and then said, I am a neuro linguistic programmer. Thus the birth of NLP. The word Neuro is about the nervous system. We send a large time understanding the working of the nervous system, the way we remember, we think, creating, pictures, visions, and all the cognitive processes are part of the programmes which run within the nervous system. Our whole experience of our world, our learning, our interaction with the word, is through our nervous system, vision, hearing and speaking, feeling, smelling and tasting. The word Linguistics is the way we communicate with ourselves with our own internal language and how we interact with others. How we verbalise our goals, our desires, our wants, instructions. The word Programming is how we learn, our memory, our creativity, how we process information to do particular actions things, the mental process. Other methodologies from the field of pyschology over laps with NLP, because NLP borrows from cognitive sciences, neurology and linguistics. When we model we find out how the brain is working (Neuro), listening to the language (Linguistic), verbal and non-verbal, and then strategise them step by step (Programming), so that we can reproduce or teach others. I have many friends around the world, and I know many that perhaps, let us phrase it, do not appreciated the work I do. I am never going to win everybody. I am never going to get everybody to like me. I am never going to please everybody in my style of training. I know this, it was a hard lesson to learn, but knowing this you can be prepared. This is not to say you go out and plan for failure, no use outcome thinking (more on this in later writings), to plan for a positive outcome. I have given major presentations, talks, courses, after diner speeches to various groups and professions, doctors, teachers, business people, students, politicians, sports people, a complete cross section of our community. The vast majority have a total success, one or two I have died. Prior to all I do, I plan. Yes, I have a plan. I Mind Map my ideas, the structure, into my Mind Map book, and I center myself, taking with me my friends Antonio, Fred, and Mustapha. Go for it, with a smile on your face, and happiness in your heart. More often than not I have a translator (see my Turkish translators), to help me. These people I highly recommend, as they have a difficult task to do for me, and I know that over time I teach how to be your best, to be confident, powerful, to be in a good state. My language patterns are difficult sometimes to translate, and cannot be done so literally, but the message is put across and understood. If I said “The cat sat on the mat”, the translated structure of the sentence may become, “mat, cat sat on”. Maybe, there is not such a word in the language of audience as mat. The translator has to find a word to say in it’s place. How many words are there for mat? According to Roget’s New Millennium(tm) Thesaurus there are 18 different English alternatives, OK, having contextual differences, but so it is in translation. I as teach, I am calibrating between the translator and participants, getting feedback on the understanding of both parties, making adjustments, retelling the point I am giving until I know full comprehension is gained. It is at these times I see, on rare occasions, participants who have a knowledge of English creating their own internal dialog of translation, to then criticize that of the translator. And then you get the people who love to belittle others, to find fault in others, to pass the blame for their own inadequacies onto others. I see them, lurking ready to strike like a cobra, but I am ready and waiting, like a mongoose. I prepare. They are like a person going to battle, and their armaments are criticism, complaints. But we have our arms, our shields, our defenses. Strength, confidence, power, positivity, Antonio, Fred, and Mustapha. If we let our defenses down, then we let the enemy get at us, to dig into and erode the confidence, we must realise what the enemy is doing, and fightback, repel the pirate boarding party of Captain Hook. Keep your shield of the smile on your face, and happiness in your heart, you will defeat the enemy within and without you knowing, everybody will love you.